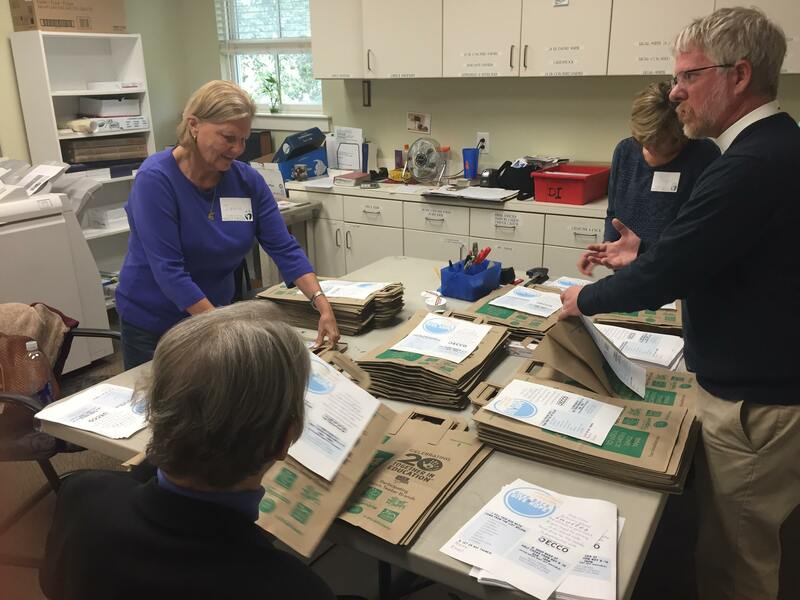 Volunteers at Holy Cross Church prepare bags to distribute to Sullivan’s Island residents. Neighbors were invited to fill a bag with nonperishables to benefit clients of East Cooper Community Outreach. 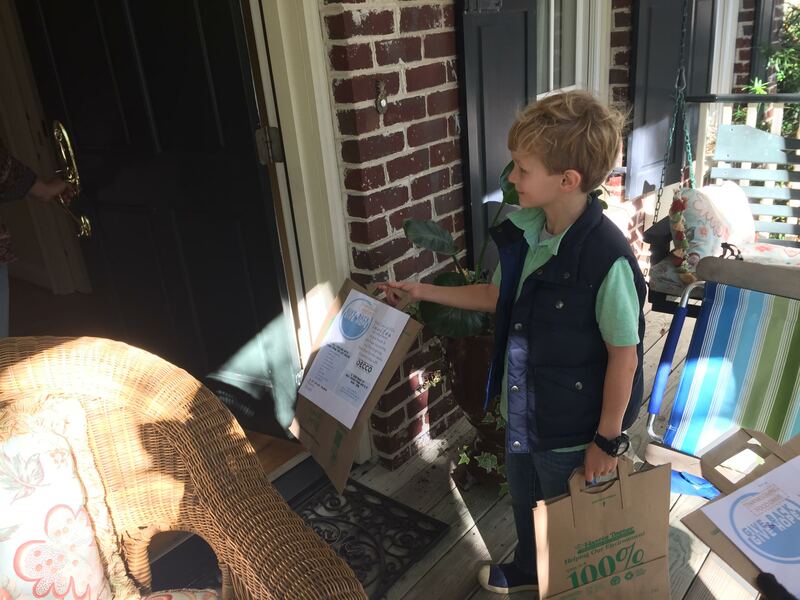 Volunteers visited nearly every home on Sullivan’s Island with a grocery bags and an invitation to participate in the food drive. Over the following week, the people of Sullivan’s Island have generously flooded the Holy Cross church buildings with gifts of groceries and household supplies. Just over two hundred bags have been collected in a week through the overwhelming response of the Sullivan’s Island community. This island-wide food drive is part of the ongoing partnership of Church of the Holy Cross and East Cooper Community Outreach. Holy Cross and its church attendees realize that even here in the East Cooper area there are many of our own neighbors that face daily hunger and financial needs. ECCO is an incredible community organization that serves many types of needs for those who live and work in the East Cooper region. It serves individuals and families with a range of services including food, clothing, emergency financial assistance, medical care, counseling, educational opportunities, job preparedness, along with many other community services. More information about ECCO can be found at ECCOCharleston.org. Thank you to all our neighbors on Sullivan’s Island who joined Holy Cross in serving the poor and hungry in the East Cooper area this Thanksgiving season! You gave generously and because of that many families will have food to sustain them. We believe there is still much more to do and we look forward to partnering together again to serve others, to give back and to give hope. Church of the Holy Cross is an Anglican church with three area campuses (Sullivan’s Island, Daniel Island, and I’On). For location or service times check out HolyCross.net or call 843.883.3586.